There are 201 companies listed in our Internet Services category for Los Angeles. This page shows listings 1 to 20. Visit Today for a Free Website Analysis! 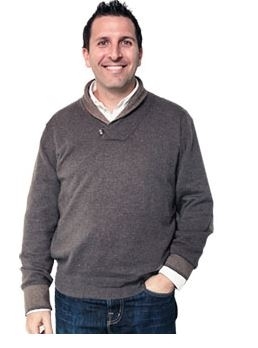 Scott Cohen is the Co-Founder & CEO of 180fusion, and plays the role of fearless leader here in the office. Scott, a 15 year industry veteran in the Internet and Software sector, is recognized as a thought leader in the area of Internet marketing. In addition to being a contributor to Wired, SocialMediaToday, Search Engine Journal, and Tech.co, Scott has successfully supported Fortune 500 companies to small and medium businesses on digital marketing initiatives. Under Scott’s direction, 180fusion has evolved from its humble beginnings in a basement, to being recognized by the Inc. 500 as one of the fastest growing private companies and Top 100 Best Places to Work. Scott has an extensive background as a successful entrepreneur, senior executive and general manager in software, Internet and compliance industries serving in key management roles in start-up and high-growth software companies. Prior to launching 180fusion, he took an enterprise software company (PSS Systems) from pre-revenue stage to market leader before being acquired by IBM. Scott graduated from the University of Arizona and currently serves on advisory and board positions at several privately held companies in the software and Internet space. Additionally, he is active as a guest lecturer at USC Marshall School of Business and in the non-profit community sits on the board of the Prostate Cancer Research Institute. Scott is passionate about giving back to the community. Under his guidance, the 180fusion Cares Program has helped thousands of people over the past 2 years. As CFO and co-founder of 180fusion, Mitch applies his experience and breadth of skills to overseeing the company’s financial goals. Additionally, Mitch oversees the recruitment and retention of the company’s most valuable asset — the employees — and manages the technology and infrastructure supporting the company’s operations. Did we mention he also writes the checks? Mitch earned his MBA at Pepperdine University where he graduated number one in his class, and prior to 180fusion, he provided strategic direction and management of presales operations as worldwide director of presales for several Silicon Valley start-up software companies. Mitch also worked as a management consultant, designing and implementing financial systems for the SMB and Fortune 500 companies including Merrill Lynch, Deutshe Bank, Kaiser and ExxonMobil. 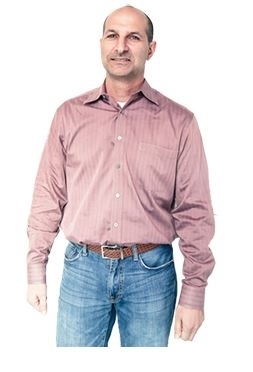 teve Bulpitt is the COO of 180fusion. 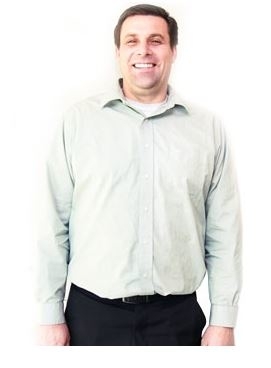 Steve is responsible for the execution of all client services and manages the overall operations of 180fusion. With extensive online marketing experience, Steve also oversees and supervises strategy and planning of account management, customer service, training, and product delivery at our Center of Excellence in Utah. Under Steve’s leadership, 180fusion has grown several thousand percent and scaled the employee base in each product line. Growing up on the outskirts of Vancouver (Yes… he’s Canadian. Don’t hold it against him), Steve enjoyed training and competing for Canada in the decathlon. His continual hard work, dedication and determination helped him become the bronze medalist Decathlete in Pan Am Junior games. Continuing with that Decathlete mentality, Mr. Bulpitt has been as successful in entrepreneurship as he was on the field. The experience of starting and growing his businesses has made him a leader in the internet marketing and website development industries for the past 10 years. He has co-authored the book “Tips & Traps When Incorporating your Business”. Steve graduated from Brigham Young University. He actively serves in his community as a leader in the Boy Scouts of America while still making time for his family of 5 kids. Pay Per Click advertising gives you the ability to have an instant presence online. SEO and social media can take weeks, and even months to show results. PPC, however allows you to immediately reach your targeted audience and create traffic to your site. Our PPC specialists are experts in campaign management and in achieving the highest ROI for our clients. 180fusion’s Search Engine Marketing services are specifically designed to help your company rank high in the SERPs, and turn views and clicks into cold hard cash. EO is the single most effective way of driving traffic to your site. Any campaign that does not include an SEO component is inadequate. Because of this, we’ve dedicated years of analysis and experimentation to ensure that our SEO techniques and products are always on the cutting edge. We pass this expertise and experience on to you, our clients, with every campaign we set up. Search Engine Optimization (SEO) marketing has taken online marketing to new places, and at 180fusion we pride ourselves on being competitive marketing specialists. Through persistent hard work and innovation, we have been able to secure lasting results for our clientele. We do not “fluff” up our content in attempts to trick search engines intos to purchase your products and servic ranking your website. Our services include producing unique, authoritative content that is geared towards developing your business and your brand. Our marketing professionals are committed to helping your business rank high in the search engines, and to obtaining lasting results. In this day and age your online reputation is everything. At 180fusion we will fight to ensure that your reputation is enhanced and protected online. With Fusion180’s Online Reputation Management (ORM), you will receive an in-depth analysis of your business prospects in regards to both customers and critics. Your online reputation is exposed to both friends and foes worldwide at any time, and it is important for your business to be on its guard. Negative feedback and reviews, after all, are the last things you want to have as you try to maintain and grow your business. At 180fusion, our professional Online Reputation Management experts will fight for your business’s name and reputation, making sure that your digital image is not tainted.